Riviera closed on May 4. Its liquidation and decommission will be expedited so that the Las Vegas Convention Center can start construction on its massive expansion as soon as possible. There is nothing like Riviera left on the Las Vegas Strip. It was the last of the old school casinos on Las Vegas Blvd. It is not just history that was lost when Riviera shuttered. There were several features of Riviera that are irreplaceable. Riviera offered some of the cheapest rooms on the Las Vegas Strip. The entry level rooms were described as unacceptable by many guests. For $10-$20 more per night, guests could upgrade to a luxury room in the Monaco Tower. This tower was built in 1988 and remodeled in 2011. These rooms were a step above any other in the same price range on the Las Vegas Strip. The employees at Riviera were one-of-a-kind. Most had more than a decade of service under their belt at the property. Many worked there 20 or more years. One bartender I talk to during the days before its closure had 37 years of experience at Riviera. 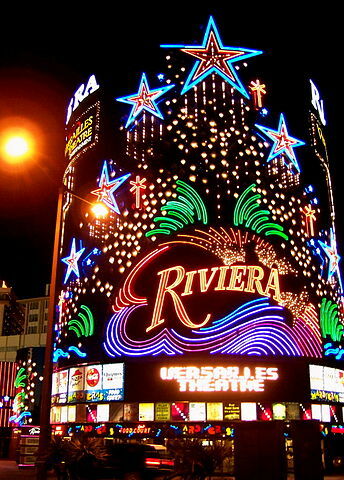 Many of the Riviera employees decided to retire, although some found jobs at other casinos. Riviera retained employees through their final shift through severance packages that could only be claimed by showing up for the last scheduled shift. There was a sense of family among Riviera employees. While management and ownership changed repeatedly throughout the years, the property was able to keep its team together. This allowed guests to build relationships with employees. This was a unique value not found at most Las Vegas casinos. Riviera was home to the lowest blackjack minimum bet on the Las Vegas Strip. It spread $1 blackjack until the Thursday before it closed. These were converted to $5 games in anticipation of the big rush during its final days. The $1 blackjack tables paid even money on an ace and a face. That was a lower theoretical loss per hand than a 3-2 $5 game. Riviera always spread low limit table games. Players could enjoy craps, roulette, Three Card Poker, and Let it Ride for just $5. Some bar video poker machines had a $.05 denomination that included great drink service. The minimum to get served a drink in the casino was just $.25. The R Steakhouse was a hidden gem. It served dinner seven days a week and offered discounts to locals on a regular basis. There was also a reasonably priced food court located inside Riviera. The Banana Leaf Café and Wicked Vicky Tavern were other options available to Riviera diners. The casino bar offered $1 draft beer. Many types of liquor that would be considered calls were sold as $2 wells at Riviera. For $3, a shot that bordered on premium would be served by bartenders at Riviera. At one point these prices included sales tax. In the final months, tax was added. The prices were still reasonable. Many of these drinks were served in the comedy club and other showrooms for just $1 more. The Riviera Comedy Club was one of the best in town. It was only $30 per ticket. Locals received buy one get one free tickets. Many popular Las Vegas comedians performed at the Riviera Comedy Club all the way until the end. Riviera also offered a nightly lounge act near its casino bar. In addition to that, a regular comedy headliner, Crazy Girls, and a family-oriented magic act, performed nearly every night. All were priced below the typical Las Vegas Strip range. The last classic casino in Las Vegas that closed was Sahara. The condition of Sahara deteriorated substantially in its final years. Sahara abandoned most of what made it famous long before its doors were shuttered to make room for SLS Las Vegas. As soon as Sahara’s closure was announced, maintenance on the property appeared to cease. That was not the case at Riviera. Riviera offered all of its features – including dining, beverage, and entertainment – up until the final weekend. The resort made it clear that it would give guests the same experience it offered for 60 years through its final days. Riviera went out in fashion. That deserves respect. Las Vegas did not just lose a classic casino dating back to the mob era on Monday. It lost a family of employees that took a generation to build. That type of team may never be found again on the Las Vegas Strip. Business conditions forced Riviera‘s owners to sell. The property was hovering around breakeven on a cash flow basis. Nobody can blame shareholders for approving the $182.5 million sale when the resort was treading water at best. At the same time, Las Vegas tourists and locals should mourn the loss of a legendary property, even if it did not appeal to them.